“Political boundaries are a little bit overrated,” said Alexis Sanal in her opening Statement. Alexis, who is one half of architecture studio SANALarc along with Marat Sanal, highlighted the global thinking and large scale approach behind their work. The statement, accompanied by a diagrammatical map outlining two hour and five hour flight radiuses from three separate locations across the planet – Los Angeles, Brisbane and Istanbul – illustrated that through easier travel, the world is a much more connected place and our national borders are almost redundant. Personally, this diagram also demonstrated to me the centrality of Istanbul geographically, with Europe, Africa and the Middle East all falling well within a five hour flight radius. It is within this culturally diverse context of Istanbul that SANALarc operates from and is the setting for the projects covered in the lecture. At the core of their work is a passion for urbanism and they are concerned with design thinking at a city scale, from the past history of urban environments to the future users of cities. Alexis made comparisons to Seoul, Sao Paulo and Mexico City when describing Istanbul, a city of 14 million people, also noting the majority of the population is under the age of 20. She described these developing and densely populated cities as, “a relatively new phenomena in the scope of humanity”. Addressing this and other issues facing developing dense cities forms the basis of their work. The first project presented was a foray into urban anthropology covering the craft and construction of bazaar markets – an example of their interest in the social study and history of cities. Their research revealed the traditional craft of the bazaar market, maintained over hundreds of years and highlighted the resilience of these generative market structures through their ability to respond and adapt to any terrain and varying weather conditions. A book and beautiful short film was the output of this project. The second project presented was aimed at tackling urban policy specific to context. It is a tool for collaborative design and a response to the lack of “knowledge capital available in Istanbul”. By engaging community stakeholders from opposing disciplines – creative and technical – this tool is aimed at disarming the intimidating language associated with city policy and engaging the broader community. The second half of the presentation focused on built work with two consecutive projects addressing some of their core concerns surrounding city design – how to create space for future users, our youngest generations. These were the adaptive reuse of an abandoned brewery and the refurbishment of a library/research facility. Both projects focused on the requirement for flexibility in the design of these spaces, allowing for multiple and often informal functions. The built outcome in both cases was minimal in construction, while still exerting maximum impact. The centerpiece of the brewery project was a courtyard space that exemplified flexibility with minor intervention. An informal element, the recycled timber pallet, is used in modulation to create an amphitheatre space which as Alexis described, was adapted and repurposed gradually over time by users, with a little help from SANALarc. Alexis concluded by describing a car parking facility, which on first impression sounded like a straightforward, if not boring, project. However we learnt it was a compelling and significant proposal that embodied many of the principles and focus of SANALarc’s work. What made this project so special is the ground level public park which forms the entry layer of a subterranean car parking structure. Through this project, SANALarc was able to explore ideas of locality through materiality with locally sourced granite forming the topography of the ground plane. 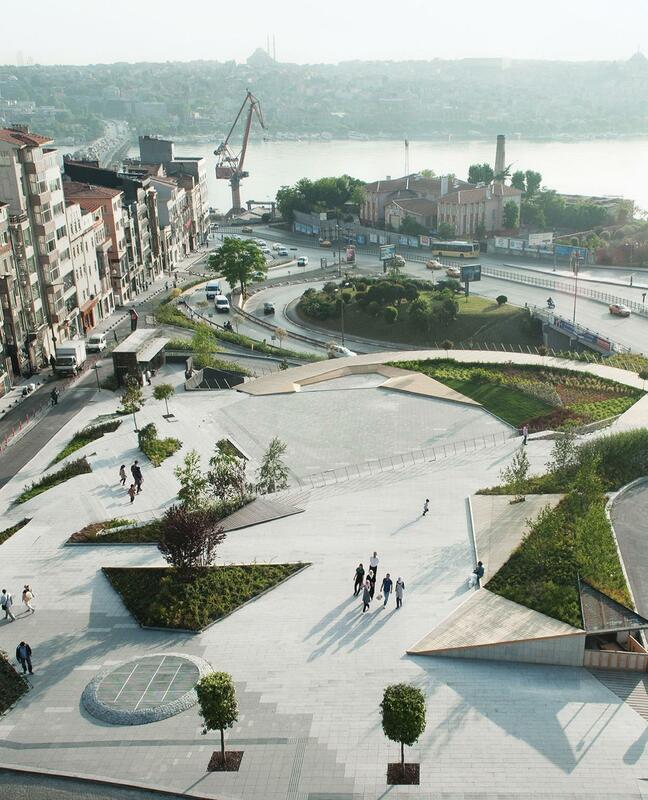 The park also took advantage of its site; its proximity to the water and elevation above much of Istanbul, creating an elevated platform that visually connects many significant buildings and sites in Istanbul. SANALarc are a practice that adhere to the axiom ‘think globally, act locally’. Alexis’ opening statement disregarding political boundaries signifies a very broad and distinct worldview, yet the work of SANALarc responds to the pragmatic issues of site and culture. Observing this insight through their projects is a valuable lesson on how to practice architecture at a city scale. 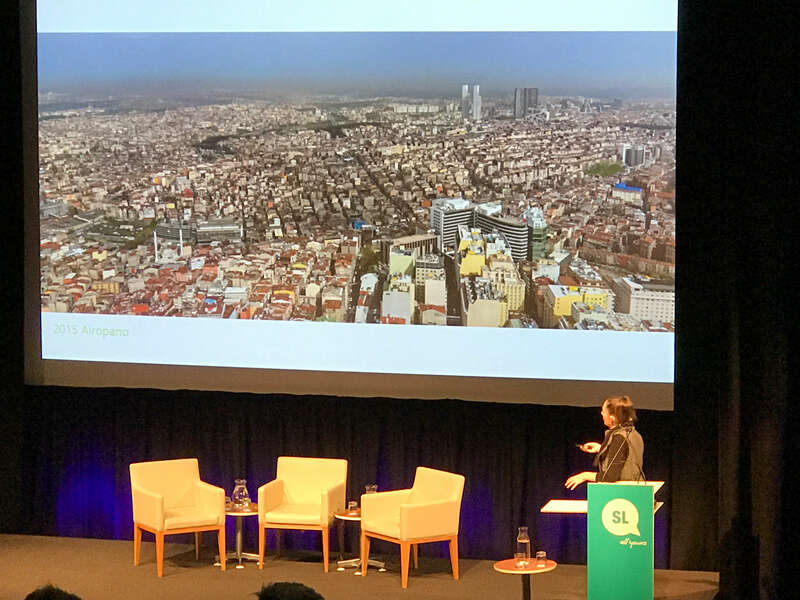 This article by Alex Hipgrave is based on the lecture presented by Alexis + Murat Sanal as part of the 2017 UQ Architecture lecture series event on 9 May 2017. Alex is an architect working at Marco & Co, Brisbane. In partnership with the Australian Institute of Architects, APDL and UQ are pleased to offer this event as a professional development activity for architects. Architects who attend UQ Architecture lecture series events can claim two Informal CPD points for attendance, or earn two Formal points with completion of the Design Online written exercise which reflects on new knowledge and the ideas presented. AACA competency: Design. Click here for more information.